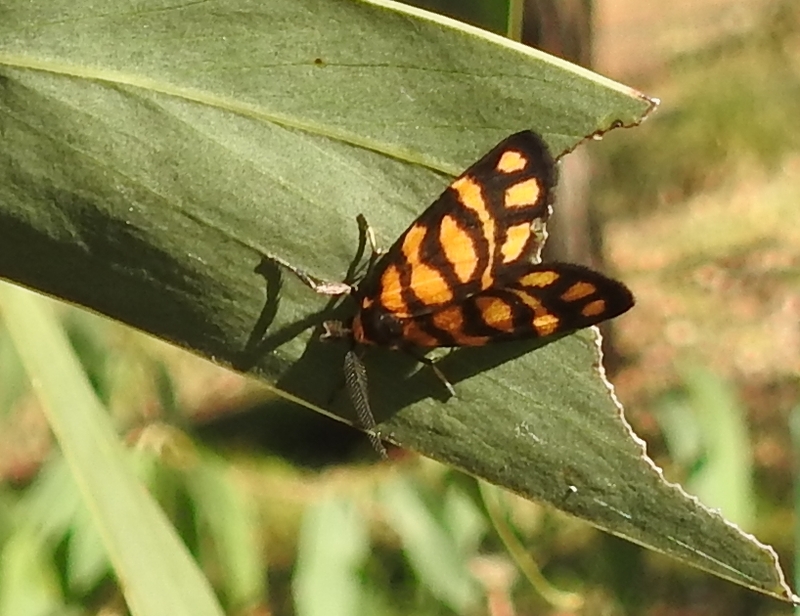 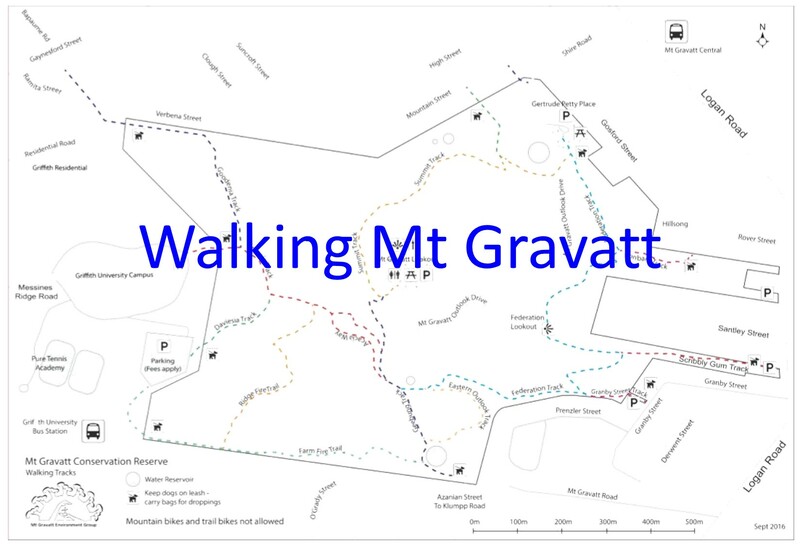 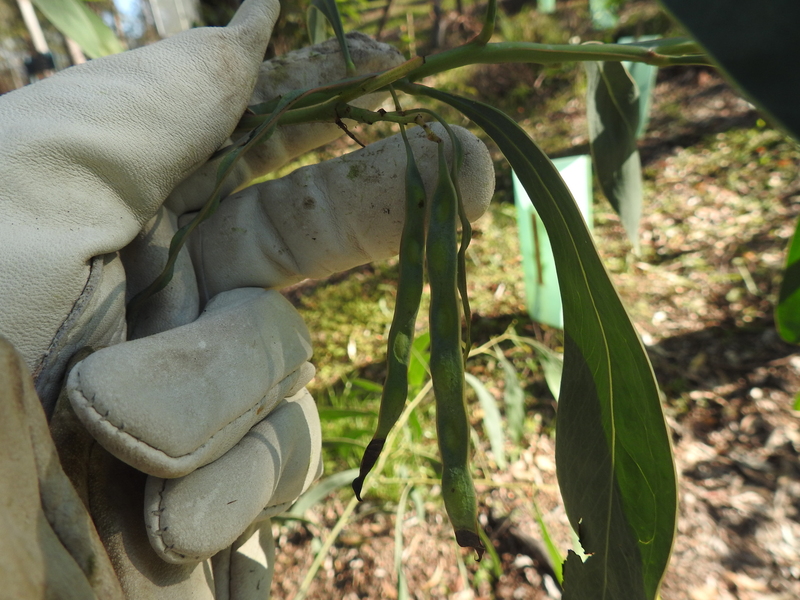 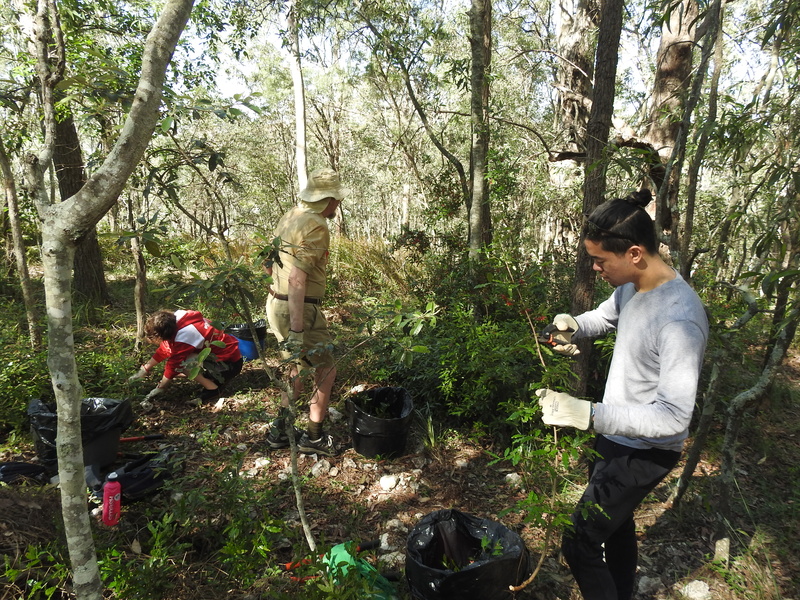 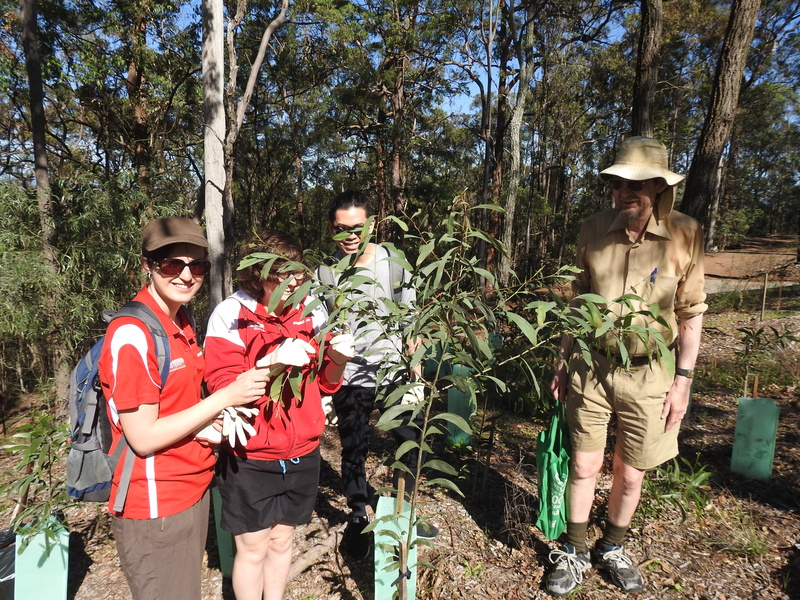 The Crow or Donovan’s Day Moth Cruria donowani is a new addition our database of Flora and Fauna of Mt Gravatt Conservation Reserve. 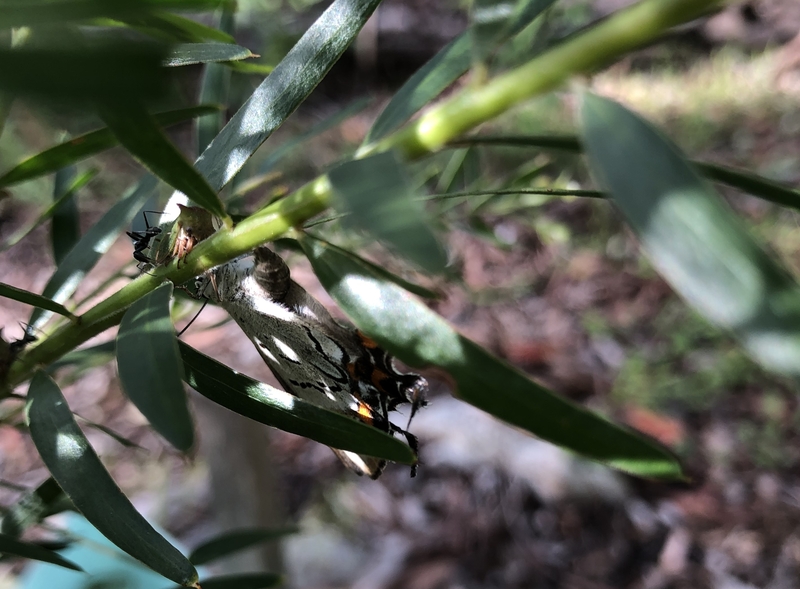 I also found a female Imperial Hairstreak butterfly Jalmenus evagoras laying her eggs on one of the Brisbane Fringed Wattles Acacia fimbriata planted in July. 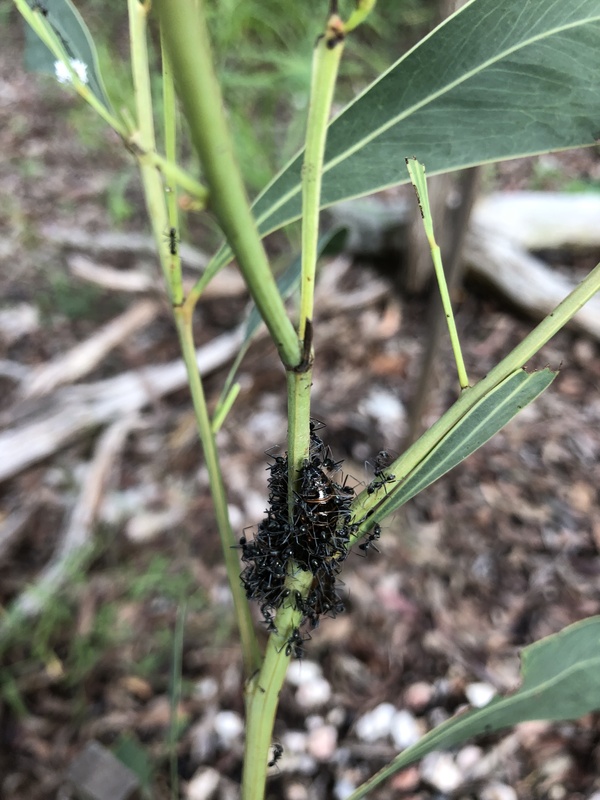 Imperial Hairstreak chrysalis being protected by protected by “Kropotkin” ants – Small Meat Ant Iridomyrmex sp. 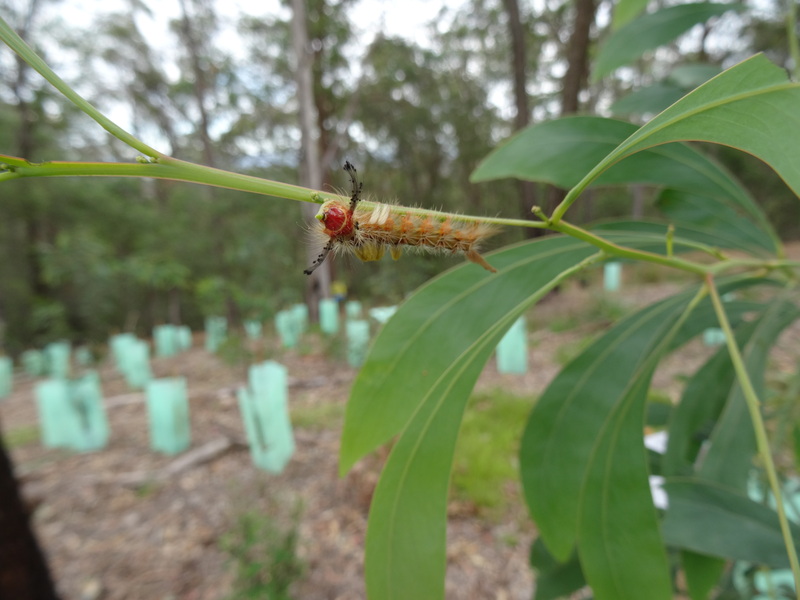 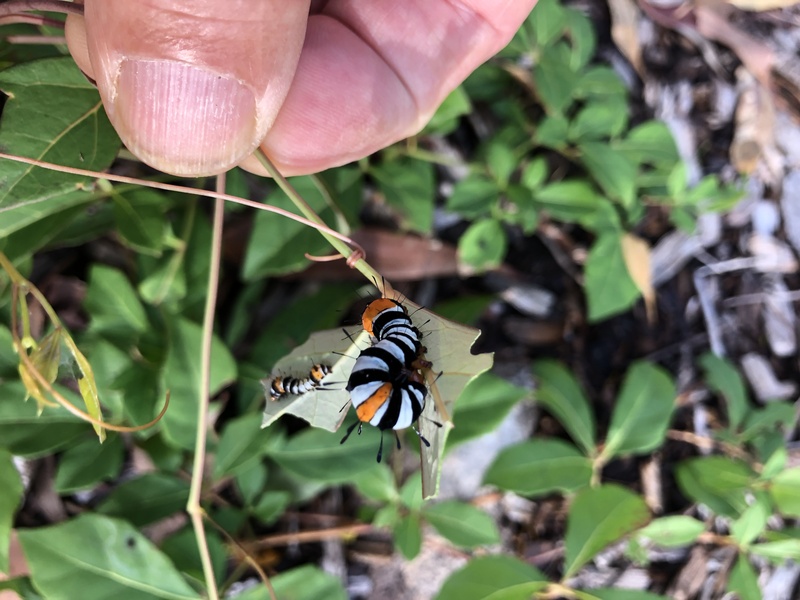 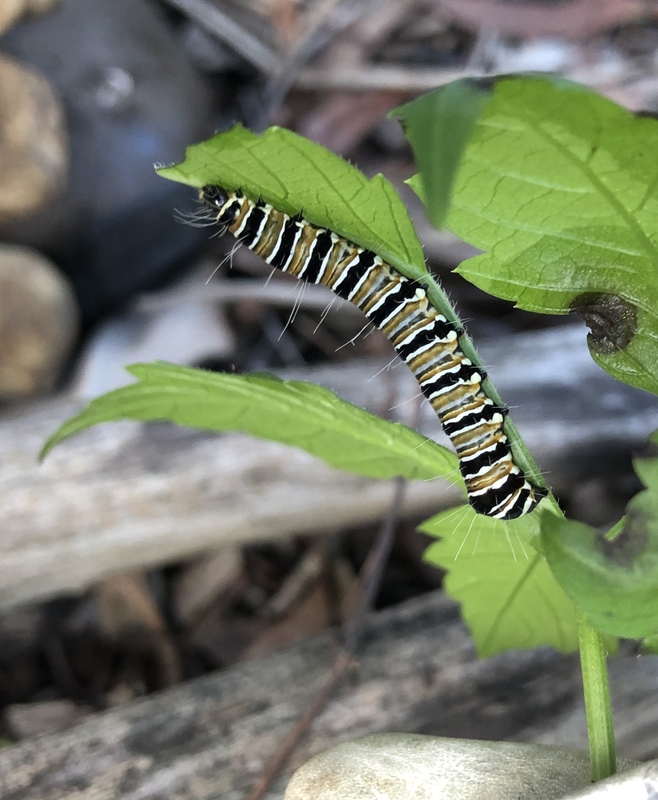 The striking Joseph’s Coat Moth caterpillars Agarista agricola were lunching on Forest Grape Clematicissus opaca.